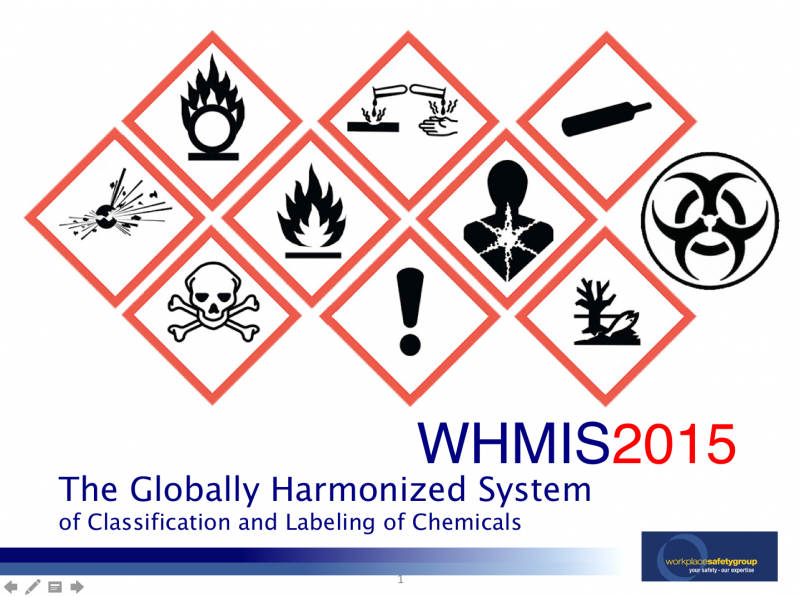 The Workplace Hazardous Materials Information System (WHMIS) is now aligned with the Globally Harmonized System of Classification and Labelling of Chemicals (GHS). GHS is a worldwide system. Its goal is to have a common set of rules for classifying hazardous products, common rules for labels, and a standard format for safety data sheets. 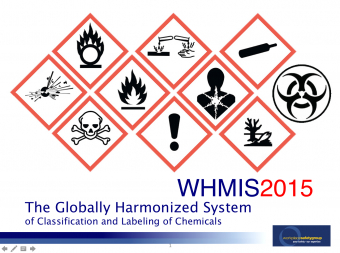 WSG offers WHMIS 2015 (WHMIS after GHS) worker training. Our course, WHMIS 2015 for Workers, provides worker and management education on the new WHMIS system, along with a multiple-choice exam and a certificate for those who complete it successfully. Our program was developed using the most current information available. Be ready for the final changeover – contact WSG for GHS/WHMIS 2015 training to meet legislative compliance requirements in your operations.